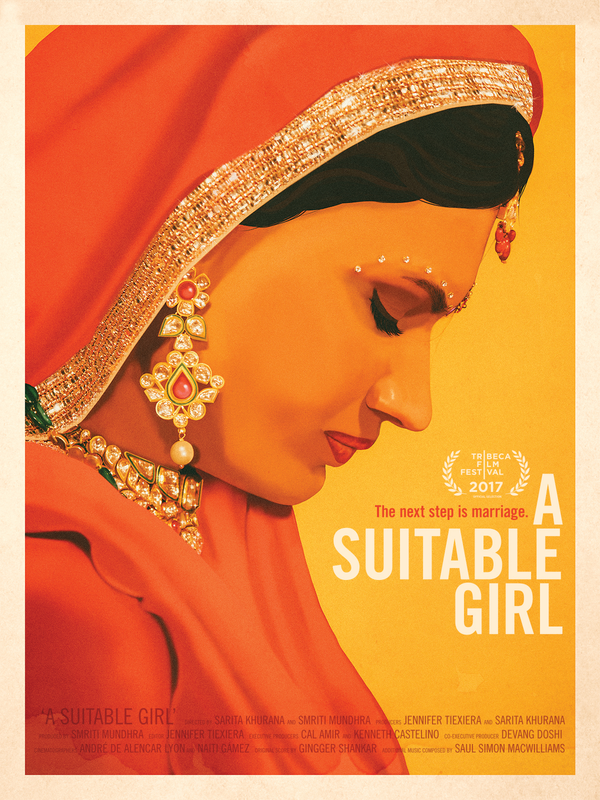 A Suitable Girl is a look at the Indian drive to get married. According to the film women are raised with the intention that they will one day get married and raise a family. The film takes a look at three women who are aiming for marriage. Dipti is a woman in her early 30’s who just wants to get married. Working as a school teacher she has been unable to find anyone. Part of the problem according to some in the lucrative marriage industry is her weight. She is a sweet straight forward woman who wants to just be married and loved. Amrita marries a childhood as the film begins and move off to be with her husband’s family. A working girl and lover of partying before marriage The plan was for her to rejoin the work force after the wedding but a sudden illness of her father in-law changes the her plans and she is forced to cope with falling into a traditional role. A Suitable Girl is a good look one cultures obsession with marriage. I love that the film lets us experience the women’s uncertainty at how what they want will affect their lives. We also get a hint at them chaffing at what society expects from them (A baby by the third anniversary). As good as the film is the film has two small problems. The first is that the film is so well versed in the world of Indian weddings there are times the film should explain more. Terms are used and events transpire that are not 100% clear to an outsider. It’s far from fatal, we catch up via context, but at the same time it keeps us slightly outside events. The other problem is the film is kind of devoid of dramatic tension. The film is about the path to the women getting married so the fact that they do is not surprising. The only question is who the grooms are going to be and since its outside the film until it happens no suspense is generated. Regardless this film is definitely worth a look.